Word “Holley” Wells, 87, of Baytown, Texas, passed away Monday, January 21, 2019, at his residence. Holley was born October 25, 1931 in Longstreet, Louisiana and has resided in Baytown over the past 60 years. He was a graduate of Longstreet High School and attended Louisiana Tech. He was a former private school teacher of math and physical education, and an operator and shift foreman for Arco Chemical Company. He was an active member at Cedar Bayou Grace Methodist Church, Kiwanis Club, President of the Longstreet Memorial Cemetery Association. He was Secretary Treasurer of the Baytown Men’s Bowling Association for over 50 years. He was the first and only member of the Baytown USBC Association Hall of Fame. 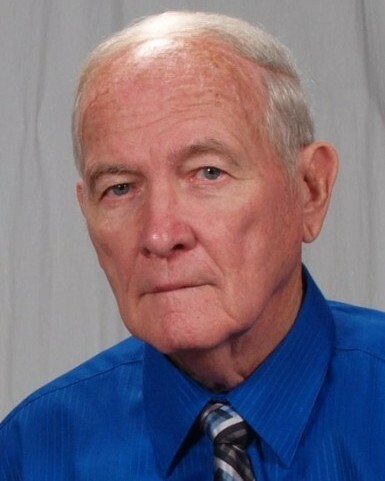 He served as a proud President of the Sterling Ranger Booster Club for almost 10 years. He enjoyed bowling, working cattle, sports and spending time with family. HE WAS THE GREATEST PAPAW IN THE WORLD. Mr. Wells was preceded in death by his parents, Maidee Word and Robert Homer Wells; two daughters, Laura Ann Spears and Barbara Diane Stratton; two sisters, Janie Bass and Doris McMillan; and a brother, William Wells. He is survived by his wife of 45 years, Leaila Dix Wells; son, Robert Wells and wife Tracy; daughter, Darrian Wilcox; grandchildren, Bill Berry and wife Lisa, James Spears and wife Rebecca, Sawyer and Waylon Wells; great-grandchildren, Emma, William and Faith Berry, Romynne and Shiloh Spears; and numerous nieces, nephews and in laws. The family will receive friends from 12 p.m. to 2 p.m., Monday, January 28, 2019, at the Crespo & Jirrels Funeral Home Chapel in Baytown, Texas. Funeral services will be held at 2:00 p.m. Immediately following will be a reception in the family room. The family will also have a memorial service at Longstreet Methodist Church in Longstreet, Louisiana, at noon on Wednesday, January 30, 2019. He will be laid to rest in Longstreet Memorial Cemetery. For those who desire donations may be made to the Cedar Bayou Grace United Methodist Church, 2714 Ferry Rd., Baytown, Texas 77520, in Holley’s name.